Just a little Candida cleanse update. Not this week. I have been FAITHFULLY following the strict phase of the Candida diet since Sunday. But I was a cheater. I thought I never went off the strict phase. Until I committed to doing it with a friend and I started having major die off symptoms (brain fog and tiredness). And I started noticing that I really do have a habit of popping my kids non-Candida diet friendly snacks in my mouth. A lot. I've had to spit out quite a few things once my brain caught up to my fast little sugar loving hands. I must say that the first 3 days were hard. Not because I'm hungry or its hard to eat this way. My hunger has significantly subsided in the past few weeks. THANKFULLY. And it is time consuming to eat this way but its not impossible. But the die off is hard to go through. Good news is that it didn't last long. It lasted 5 days the first time I did this in May. It seems to have lasted 3 days this time. I feel pretty fabulous now. My moods are awesome. My sugar cravings are pretty minimal (that's probably the best they will ever get for me). I feel very energetic. My digestion is working. Even with the iron pills. This is where I've been trying to get to. Hurray for me! But now I have a Ukrainian family wedding to attend this weekend.........Now that will be a test! So here is a little recipe that I loved that will help you (and me) stay on track on this Candida cleanse. 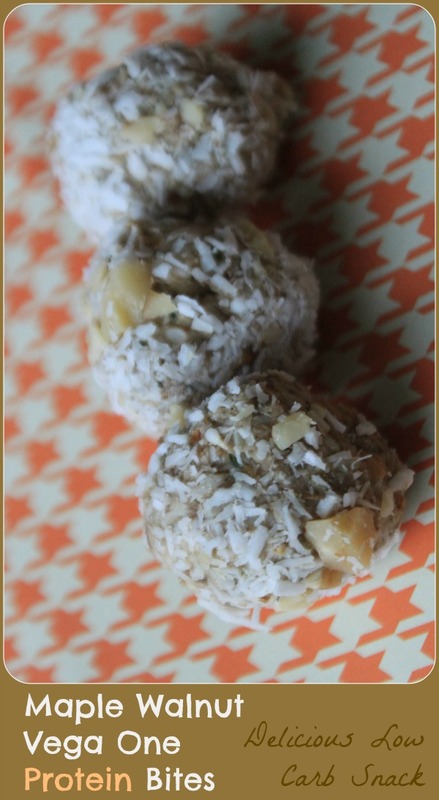 Or even if you aren't doing the Candida diet and just want a nice clean and low carb snack. I'll be popping some of these in my purse to keep me out of the perogies! Combine all ingredients except for extra coconut and walnuts. Roll into balls. About 1 Tbsp of mixture for each ball. Roll in extra coconut and walnuts.